The day began with another charming breakfast, but this time, I didn’t dine alone: I was joined by a Dutch couple. An interesting conversation about health care ensued as they assumed that “Obama Care” would provide the same benefits to Americans that they enjoyed in Holland. I had to educate them about the long reach of capitalism and medical insurance lobbies. Not long after, I boarded the same ferry as yesterday. The ride to Eigg took longer, but the wait was worth it. The island is even less inhabited with only 20 or so residents. I walked away from the harbor and climbed until I reached a low cliff overlooking the sea. Above me was a hill where a shepherdess directed sheep with the help of a border collie. My eyes filled with the sea, my ears with the lolling of sheep and the occasional call of the shepherdess. 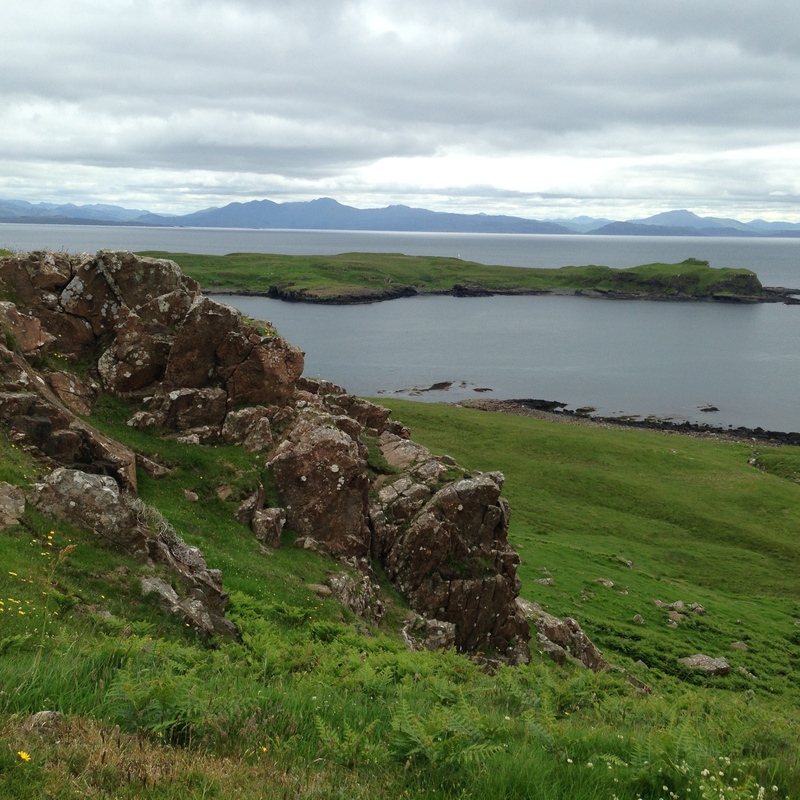 From a knoll surrounded by wildflowers, I looked across to the Isle of Skye, as blue as the heavens above it. Closing my eyes, I tried to etch the scene on my neurons hoping to carry it back to New Jersey where a flat landscape and subtropical atmosphere would greet me. When I was 21, I lived in Paris for six months. Back home, I could conjure up every day of my stay. I wanted the same access to these islands, not just recall but reliving these moments. Yet, I don’t have a narrative of daily activities on this trip as I did in France. Here, I walked, looked, wallowed in beauty. That kind of living is more difficult to recreate. Will I lose the peace, contentment, and exhilaration as well? The next day, I had another chance to bottle the natural sights of the west coast of Scotland. 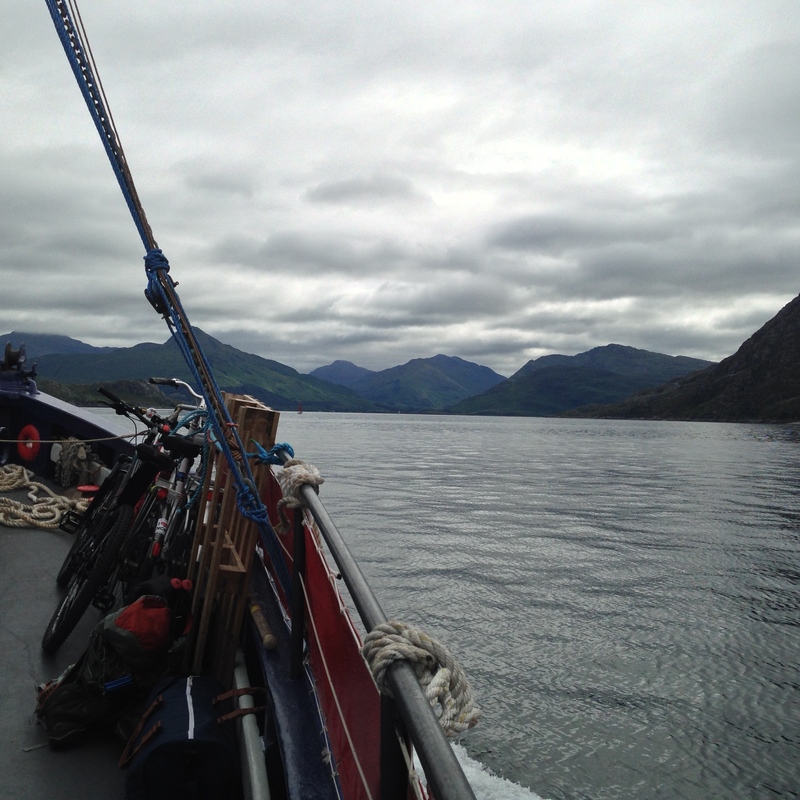 Instead of going to the last two Inner Hebrides isles, Muck or Canna, I went to Inverie, on Knoydart the most westerly peninsula in these parts and only reached by boat or foot. The ferry drops passengers off at Inverie for several hours and then tours the environs for another hour or so. 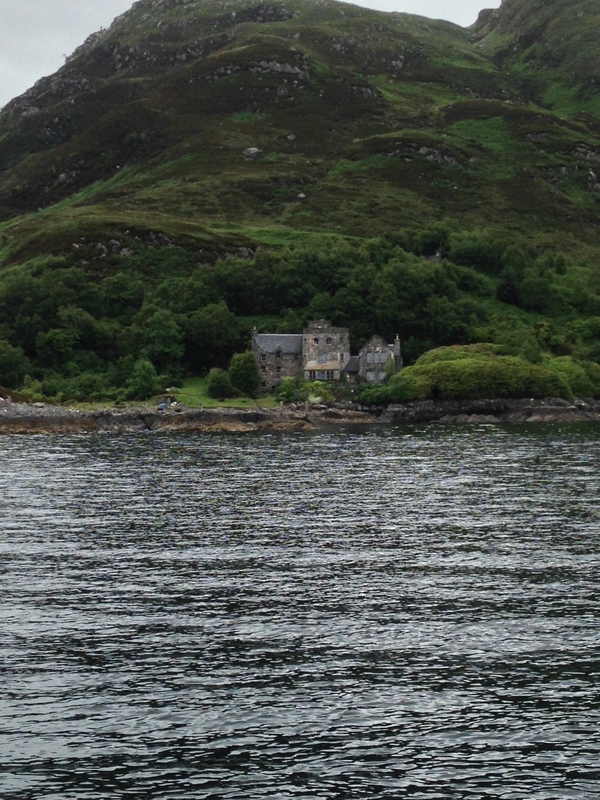 Strangely my focus seemed more on the inhabited areas both at Inverie and on the boat tour . 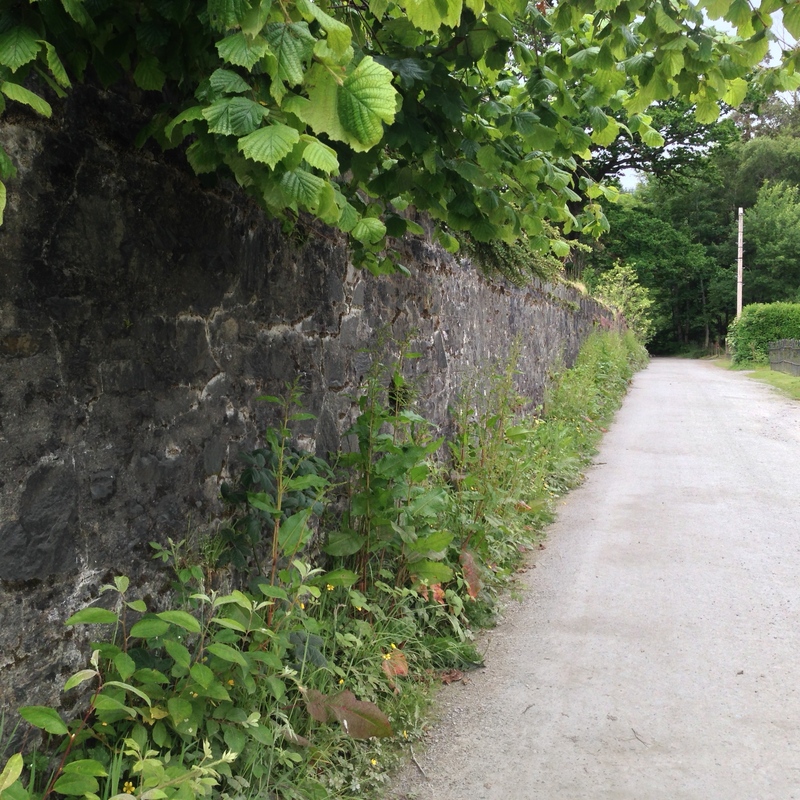 There was a stand of trees against a blue sky in the village, a garden dominated by Oriental Poppies, and a stone wall stretching along the road. Yet, fog circling hills and seals relaxing on rocks penetrated. On our way to drop passengers off at location close to our destination, we passed a mansion that seemed so unreal as to belong in a snow globe. Where were they going, where would they stay, would they be joyous? My last night in Mallaig included Irish music in the pub below my room. I got there early and found a seat at the bar next to me to a middle aged woman and her mother. We soon exchanged information about ourselves. The daughter has a daughter of her own who works in a government office. Once more, I asked “What do you think about the vote for independence. ?” I expected to get the same responses I had heard over the last few days, that is, ambivalence and economic concern. I did get that answer from the daughter, but her mother spoke up with surprising vehemence. “I hate the British! They’ve done nothing but oppress us. Kick them out.” She would have said more, but her daughter intervened. “Mother that is in the past.” Is it? Iris Moye on Going Home To Paris?